This course aims to improve students’ Japanese language skills to help them enter the undergraduate/graduate programs of their choice. Therefore, our program goes well beyond exam preparation. If you would like to go to an undergraduate program, we provide you with opportunities for group learning to improve presentation and other related skills. If you are interested in going to a graduate program, we strive to improve your Japanese language skills by providing classes on essays, interviewing and debate. Other programs include preparation to get high scores at the Examination for Japanese University Admission for International Students (EJU) as well as preparation of a research proposal if you are interested in going to a graduate program. We offer curricula that are tailored to each student’s needs. We will help you enter a top university! We provide strong support for students wishing to enter the undergraduate/graduate program of your choice, including national, public, and well-known private universities. You can choose classes that best fit your goals! If you are interested in studying humanities, you can take classes on Japan and the World and Mathematics I. If you are interested in math/sciences, you can take classes on science (Physics and Chemistry) and Mathematics II. If you would like to enter graduate school, you can take preparatory classes for graduate programs. Tailored and attentive guidance for your future path! Not only your class teacher but all the faculty and staff members are here to support you, from maintaining and increasing your motivation to learn, to deciding on which school to go to and controlling your stress before examinations. 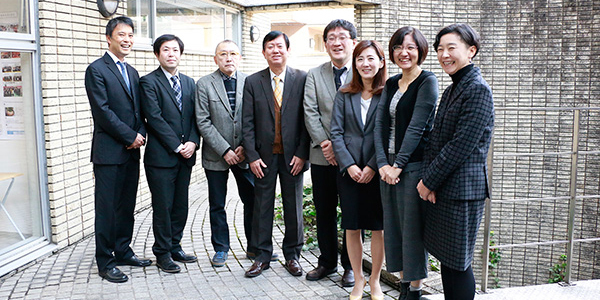 Experienced teachers are in charge of preparation for the Examination for Japanese University Admission for International Students (EJU) and for entrance examinations. We provide programs tailored to each student, including preparation of a research proposal, training for a poster presentation, and practice for oral examinations. Yokohama Design College’s finest teachers in the design field are available to teach you drawing and how to write short essays. The English language is essential to enter an undergraduate or graduate program. Most universities also require English as a required subject once you enter the school. So, let’s start studying English now. We offer tailored classes to help students get high scores at EJU. We have a Japan and the World class and a Mathematics I class for students interested in studying humanities; and Physics, Chemistry, Biology, and Mathematics II for those interested in math/sciences. You can learn the essential skills for graduate programs, including how to contact professors, how to prepare a research proposal, and how to communicate with an academic advisor. 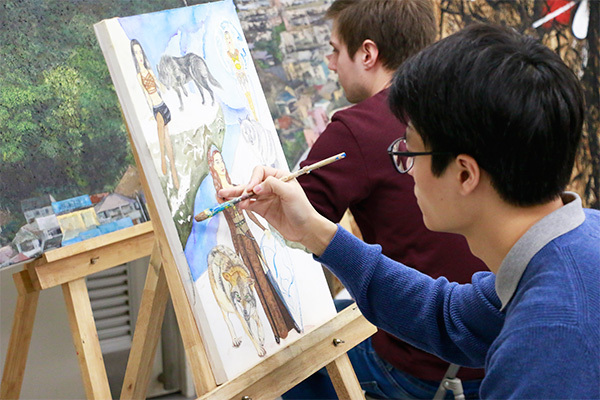 At Yokohama Design College, you can receive guidance from design and art teachers. In particular, the following programs are available to those of you interested in going to an art university. EJU prep. Basic skills EJU prep. Entrance exam prep. TOEIC & TOEFL prep. Entrance exam prep.